You don't have to choose between comfort and handling. 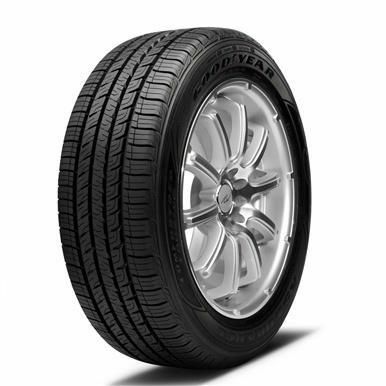 Goodyear's Assurance ComforTred Touring tire delivers the best of both worlds, thanks to dual comfort zones that provide extra padding for the tread and sidewall. ComfortEdge sidewalls give you, on average, 20% more cushion than standard passenger tires, and team with the Comfort Layer located within the tread for maximum smoothness and control. Expecting rain? ComforTred's wide tread grooves help keep water away and confidence high, no matter how wet it gets. This item is normally sold in stores, but detailed in-store stock status is not available online. Please visit your local store to check prices and availability.